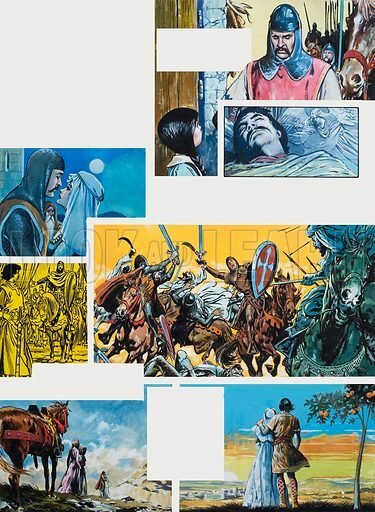 The Legend of Rodrigo of Vivar, better known as El Cid. Dream of Greatness. Original artwork for illustrations on p40 of L&L issue no. 667 (26 October 1974). Available worldwide for immediate download up to 3,424 x 4,673 pixels.